Gloucestershire's Andrew Lewis is celebrating winning gold in the Paralympics in Rio last night - but still can't quite believe it. He took gold in the Men's PT2 Triathlon with a time of 1:11:49, finishing with a clear 41 second lead on his nearest competitior - the Italian Michele Ferrarin who took silver. 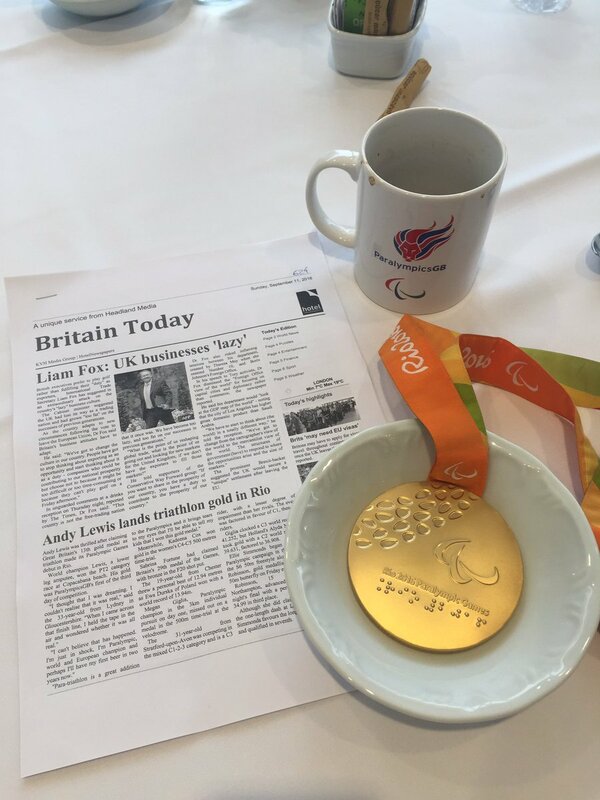 Lewis's success has earned him a place in the Paralympic history books, as this is the first time the event has been a part of the games.